Srini feels that the solution to our dangerous road habits could be found in a terrific 1980s theory that was effectively put into practice. Ever heard of the ‘broken windows’ approach? It’s not exactly a revelation for us in India, right? However, it was a revelation for some people who ran New York City in the 1980s and 1990s, and they decided to do something about it. They started addressing the ‘small’ issues, beginning with cleaning up graffiti in the NYC subway system. The idea was that the very presence of graffiti was a symbol of the collapse of the system. This was followed by cracking down on ticketless travellers. Of course, there were bigger issues than fare evasion for subway authorities, but when strict action was taken against those caught evading fares, it set an example to others. Fare evasion incidents inevitably dropped, but it had a surprisingly bigger consequence: criminal incidents in the city went down. What happened was that when the authorities ran consistent background checks on those perpetrators, they found out that one in seven had an outstanding warrant for a crime and one out of 20 was carrying an illegal firearm. Arrests followed and NYC became a safer place for its citizens. But the ‘broken windows’ idea truly gained international attention when Rudy Giuliani, who as Mayor of New York City, went after more ‘small’ crimes – public drinking and urinating in public, as also against the ‘squeegee men.’ The ‘squeegee men’ were those who hostilely demanded money from car owners at traffic signals for cleaning windows. The idea was that when the authorities were seen cracking down on these ‘broken windows,’ they meant business. If they were sweating the small stuff, one could only imagine how aggressively they were going after the big fish. Consequently, crime continued to decline substantially in New York and that too, for years. ‘Anything goes.’ Like on our roads. If one biker looks around, notices that the cops are busy managing VIP movement, he takes the opportunity to jump the signal. That leads to a domino effect. Soon all bikers begin to think this is acceptable. ‘If he could get away, why not me?’ And so on and so forth. Getting away with minor traffic offences emboldens the big ones. No wonder our roads are the way they are – we can get away with anything. 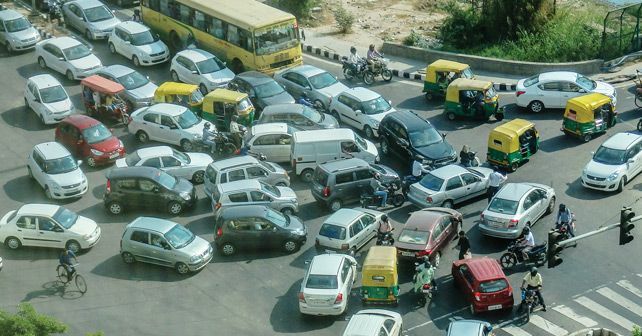 Suppose our traffic cops in India prove that they are indeed in charge and concentrate on addressing the ‘broken windows’ seen on our roads – like going on the complete offensive on bikers jumping traffic lights – it will be a demonstration that they are serious. A visible crackdown on these small offences – not necessarily with a harsh punishment, but something that has a social stigma – will show that they mean business. It is important to consistently be at it, for several years for it to take effect. Any takers? Can we experiment with it starting with at least one small town? Lives could be saved. Are films and television a threat to road safety? What purpose does observing a Road Safety Week serve?